I've gone with the majority of you and from now on the fortnightly challenges will be numbered as challenges rather than two-week numbering. To be honest it was confusing me here when I did the in between weekly post in the fortnightly challenge! Two numbers was harder to handle somehow. So, challenges will still run on a fortnightly basis - and we can still celebrate special milestones I'm sure. My snippets card for this fortnight was made with Len in mind - although I've since come up with a different idea! That's what happens when you make cards too long in advance, as well as Mr Mojo having made a return visit or three! - I could have taken the time to experiment with some tiny scraps from the waste bin but that possibility of 'glue ooze' was still bugging me so I tried another of my little tricks - which worked like a charm! - then straight away I gently lifted corners at one side of the top and bottom of the grey panel, slipped my very pointed tweezers in and peeled away the red line tape covering so that the sticky could adhere to the red glitter paper. Perfect! I do often use a similar trick with red line tape so it wasn't a totally idea to be honest, more of a way to avoid any messy glue ooze. Normally that can be removed with a glue eraser or even the sand eraser but I just wasn't sure how it would work on glitter - plus it's stuck there like a limpet now with no chance of peeling back! It's a Lil'Inkers 'Love You More Than Words' die and also a pack of 10 sheets of that luscious XCut Self Adhesive glitter paper - both the same as I used for my card of course. The glitter papers are red, lime green, cerise, purple and a beautiful peacock blue - and totally non-shedding as well. There is a caveat on the prize, which will apply from now on. Both items form the one prize and I won't be splitting future prizes unless I decide that it's really got to be an option, which is extremely unlikely. These babies go together - of course, if you win you can always pass what you might not want onto a friend once the package arrives with you. So you play for the complete prize and I post off just one package to the winner. It also means I only need to keep one list of prize players with no options of course - keeping this as slick as possible girls! 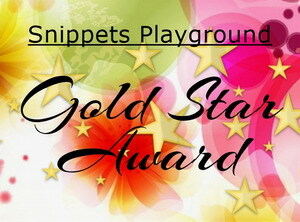 As always, the Snippets Challenge will run for two weeks and the Playground gates will close at 11am UK time on Saturday 17th February. The gates will open again at midnight UK time on the same day. It's a maximum of ONE entry and please say in a comment if you wish to play and be a possible winner of the prize. Please also link back to the Playground in your blog post to be eligible for the draw. Remember, if you link into the Playground and don't say clearly that you're wanting to be in the draw then you will be bypassed if your name comes out of Mr Linky. I'm sure you all know I ask for a positive 'yes' - just in case you're playing only for fun. Thanks! Be sure to call back next week to see a really lovely Guest Designer, my picks of last fortnight's entries and also the winner of the MFT 'Sushi Date' set of stamps. What a great look that is Di, well worth all the hard work. I will try to participate for the prize. Oh, oh, OH, what a gorgeous card, Di! Love the inlaid die cut and the red, glittery, sentiment. I'll definitely be playing along this week and tossing my hat in the ring for the prize. I'm going to try to be generous and say I'm willing to split the prize (I love the die and do already have glittery paper in my stash!) but truth is, I'd love to win both. Is that greedy? :-D See you with my entry in a day or two. Wow, I can totally see how creating this beauty was time-consuming, Di, but so worth the effort. I do hope you have recovered by now lol. I guess we will all be playing for the prize this fortnight. I know I will! Have a wonderful Sunday! Fabulous card, Di, a real labour of love but so worth the effort. Having inlaid intricate dies cuts before, I know how long they take, but usually I only inlaid them once!! LOL! I'd love to win this super prize, so please put my name in the hat. A fabulous card Di and I love the the inlaid die. It's one of my favourite techniques as I find it very relaxing! I'll be in the playground soon and would love a chance of winning this week's prize please. Just popping in to look at your pretty creation for the new challenge and see what I'v missed, slowly trying to ease back into the swing of things. And think I do have something on my post today that will fit the bill so off to link. Beautiful make. Simple but I think the bling gives it more detail rather than using just a plain colorful cardstock. Yes please for the prize. Yay!!! I found time to play and use up some of my snippet mountain. Loving your beautifully made card. It showcases that gorgeous die so well. I know I normally play for fun .. .. but I can't resist a heart .. .. and this one is gorgeous. So could I please go into the draw this time. Gorgeous card, great die. Yes please. Love your card, especially with the popping red, yes please to the prize. Your decisions make total sense, Di! Thanks for stating right out that you wouldn't be offended if we forwarded part of a prize on to a friend. Your card is absolutely beautiful! 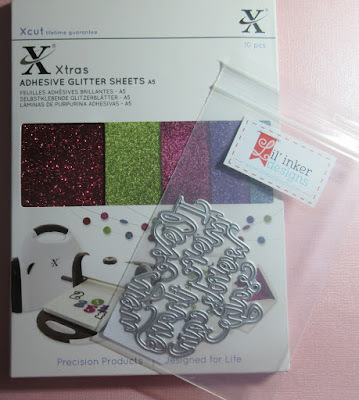 I can't get enough of good glitter paper, so I'm in for the prize this time! Thanks so much for keeping the playground open which is so much loving work by you, my friend! Wow that card really is a labour of love and I'm sure Len will love it and appreciate the Herculean effort - it is gorgeous. Bless you Greta - wise and understanding words my dear friend as well. 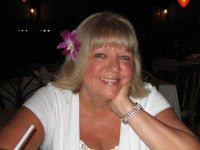 Glad you stuck with it Di, it looks fabulous! Though it's hilarious that after all that hard work you've made something else, can't wait to see what it is!! 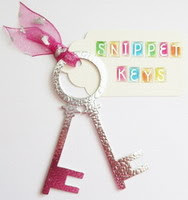 LOVE the sparkly card and such a pretty die too, yes please to be in your draw for your goodies. 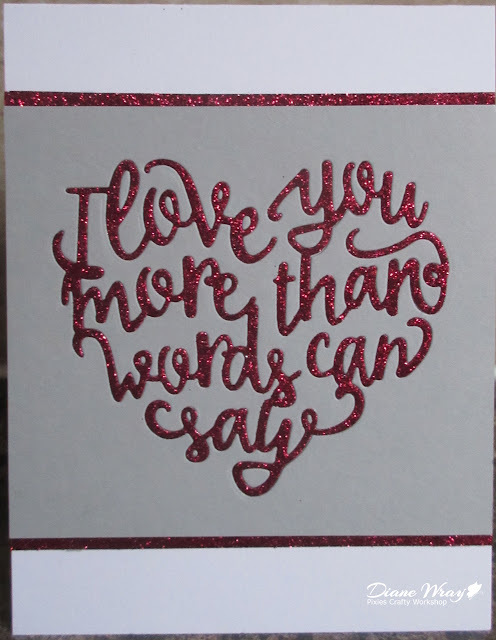 Love your card, the red glitter looks fabulous against the white and worth all the effort. Can't wait to see your better idea. WOW Di that die you used is simply stunning.I love hearts and have to try really hard not to buy all heart dies out there. Do count me in for the prize this week...keeping my fingers crossed. And joining in on the fun with a snippet filled creation....hoping you like it!!! Beautiful die and a beautiful card. It may have been fiddly, but all that effort was totally worth it. Fabric snippets this time around - playing for fun. Wow!! Gorgeous card, Di!! I can appreciate the fiddly-ness of inlaying die cuts, but what a glorious finished product!! I'd love to play along for the chance at the amazing prize! What a fiddly process Di, but so worth it, your card is gorgeous! I love the glitter heart. I would love to play for the prize please, I’ll be adding my card soon. I can’t resist a heart die of any kind! Your card is just beautiful and the end result was well worth all the trouble it took to make it. I am one of those crafters who spends a long time working with intricate dies too, but for me it's therapeutic interchanging the negatives and it's one of my favorite things to do. I'd love to be entered for this prize, so yes please! Gorgeous card Di but I think I'll play for fun this week as I just don't have the patience for all that inlaying and I don't think it would have anything like so much impact without. And I have enough glittery stuff to set up my own craft store! Wonderful card Di, great colours and I love the die you have used. Yes for the prize, please. yes perlease Miss... yummo prize lovely paper of course, dont see that here . and am sure the die will come in handy too. Had huge chuckle re die cutting ..that sounds sooo like me I chose the hardest way around! love the red tape trick might use it on current card.. might..
Hi Miss Di and the lovely Parsnip. Yes please if I'm lucky enough. Your card is excellently created and well worth all that lovely work. Love that die and the gorgeous glittery sheets. I know what you mean about doubting your sanity at doing something. I felt exactly same with my Sniipets entry, and thought why oh why do I make things so hard for myself, but it's the challenge I think. Such a glorious card DI, love this glittery sentiment heart! Absolutely love your decision! Count me is this beautiful snippet prize! Finally got my card posted and linked here. Thanks for the chance to win this lovely script die. I would love it! 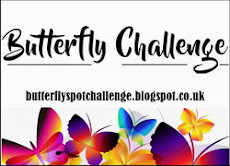 I'm very happy to join your challenge again! thank you for the chance to win the beautiful prize! Your card is fantastic Di, I'm playing just for fun this time. I'm not sure if I'm going to play but I just wanted to tell you I love your card, the die and your post! Oooo . . . so sparkly and beautiful!! I'm sure it took an amazing amount of work, but the end result was worth it! Would love to play for the prize this week, thanks! So glitter, sparkly and pretty card! Thank you for the chance to win the beautiful prize! And yes, I'd love to play to win! Absolutely stunning card. And truly a gift of love! Very elegant and CAS too. Just for fun Miss as I really wouldn't get the use out of the die lovely as it is. Hugs Mrs A.
Oops I forgot to say that I'd love to play for the prize. I must have bunny brain! Hello, Di! Your card is beautiful! Well worth all the time and effort! A lot of love went into this card! I especially love the sparkle! Also love this week's prize! Please count me in! Would be so excited to win! such a lovely card and yes, well worth all the time and effort. Yes please to the beautiful prize. What a fab prize and beautiful card Di! Please consider me for the prize! Very elegant CAS card. Love the glittery sentiment heart. I think that work with the inlay might have been worth it. It looks very clean and polished! I would love to play for the prize. Thanks for hosting! Yes, I'd love the prize if my name is drawn. Thanks ever so much. Hope you are snug and warm this winter! I am. Love how the sparkle of the die cut makes the sentiment really pop! I'm playing just for fun this time. I am bowing in humble awe to your amazing inlay work, Di. You are made of stronger stuff than I to do all of that. I am so impressed at your stick-to-it-tiveness (no puns about adhesive were made in the composition of this comment!!) on msking this gorgeous card. Yes, please, to the prize this time. I know if I win, I will never be able to approach what you did here, but I am thinking that even with some shortcuts the cards will turn out passably attractive. Thank you for another fun chapter in the playground challenge!!! Joining in finally, not on a last minute but almost! :) Great prize here as always, of course I'd be over to moon happy to win! Thank you for these fun challenges and happy weekend!